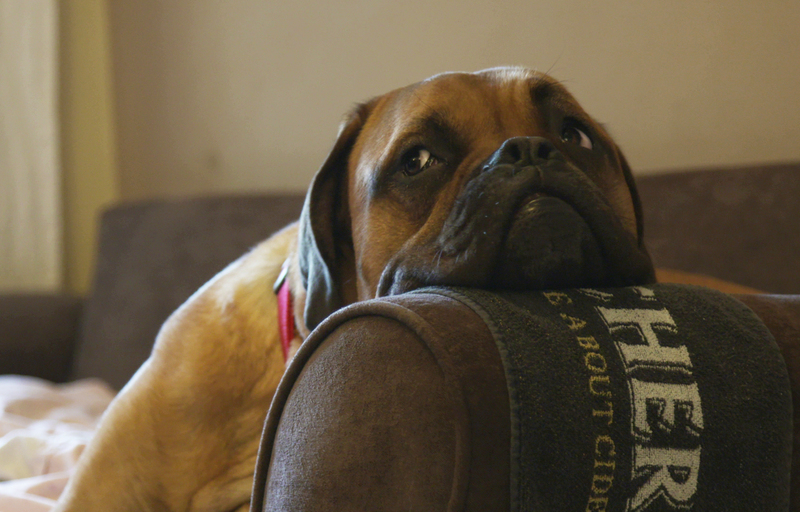 In this week’s episode Steve brings in two-year old Mastif Maya to discuss her options for treatment with Noel. 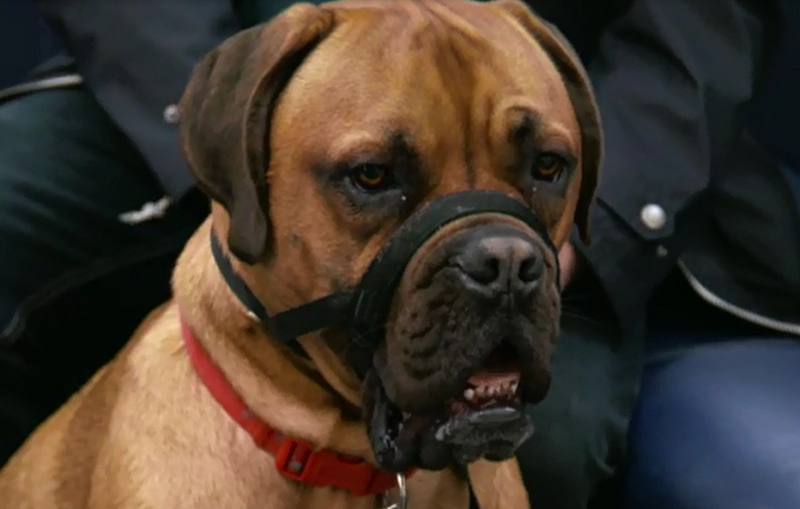 Maya is the large dog Steve always wanted to join him and his family, and they are devastated when Maya is diagnosed with a bone tumour in her leg at such a young age. Noel suggests Maya may be a suitable candidate for his pioneering endoprosthesis surgery; cutting out the tumour and replacing the cancerous bone with a custom built titanium implant endoskeleton. Steve waited his whole life to have a dog, and him and his family love Maya a great deal. The family love her for her gentle nature, she is a wonderful companion for their young seven-year-old daughter Ellie. The family noticed one day that Maya had started limping, and when they investigated they found a lump on her leg. They took Maya to the vets the next day, who almost immediately referred the family to Fitzpatrick Referrals. 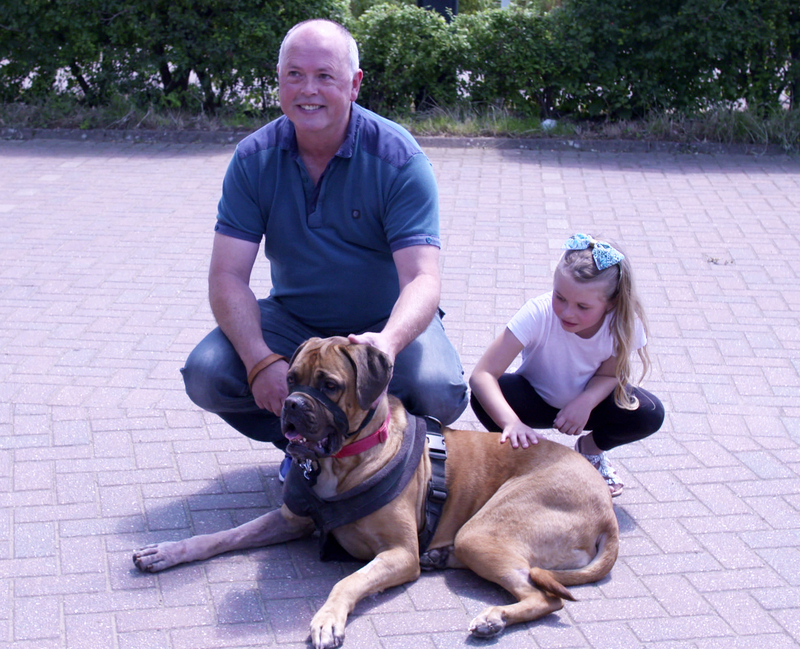 Maya had a life-threatening bone tumour – the family were shocked to discover the terrible news but wanted to explore what options were available for their young dog, and hoped Noel might be able to offer them a solution. Noel explained that the CT scans currently showed no spread of the tumour which was reassuring, but the chances were high that spread would occur at some point, and therefore ultimately any treatment would not cure Maya. He listed the options for the concerned family, including treating Maya with painkillers, radiotherapy and total amputation. He also explained the option to replace the tumour with an endoprosthesis, a unique treatment that Noel invented, where the affected bone is removed and replaced with a metal implant. The option has enabled dogs to have up to an additional 11 months of pain-free life with the disease. Maya did well with the surgery and went home after some time at the clinic to recover. When the family brought her back in for her 6 week check-up however, they were concerned that all was not right. Noel examined Maya and found that her flexor tendons in her affected limb were pulling her toes tight, causing her discomfort. It is a simple problem to correct, with Noel cutting the tendons to stop them from being taught. Three days after this minor surgery, Steve and the family were back to take her home. Maya returned to Fitzpatrick’s over the next few weeks for some courses of chemotherapy that would help keep the cancer at bay. At the moment, the team can see no sign of spread, which is great news for the family who are treasuring every day with her. The surgery has done what it was designed to do, provide a family with hope, more time, and a happy pain free dog who loves and lives life to the fullest.